After a long period of inaction on Capitol Hill, the wheels are beginning to turn again. Lawmakers introduced not one but two good transportation-related bills yesterday: one that aims to improve the safety of walking and biking and one that would establish a national infrastructure bank. We’ll get into the infrastructure bank bill in a separate post. First, let’s look at the bill Rep. Earl Blumenauer introduced last night. The Bicycle and Pedestrian Safety Act (HR 3494) would establish performance measures for pedestrian and cyclist safety. Specifically, it would direct U.S. DOT to create metrics for states to assess and address “serious injuries and fatalities per vehicle mile traveled” and “the number of serious injuries and fatalities” for “non-motorized transportation” — a.k.a. walking and biking. Current law has no such emphasis on active transportation. Reps. Howard Coble of North Carolina and Mike McCaul of Texas — both Republicans — co-sponsored the bill, along with Rep. Peter DeFazio, an Oregon Democrat. They are all members of the Congressional Bike Caucus, which Blumenauer founded. In his statement on the bill, Blumenauer noted that the number of bike commuters has increased by more than 60 percent over the last decade. “As transportation systems adjust to handle different types of road users, the federal government must encourage appropriate standards to ensure road user safety,” he said. 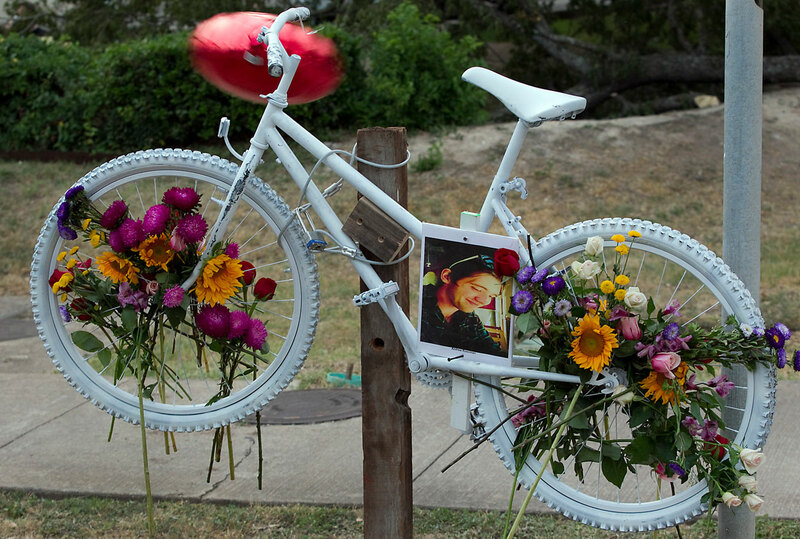 Pedestrians and bicyclists accounted for 17 percent of traffic fatalities last year — a proportion that’s on the rise. But less than 1 percent of transportation safety funds support infrastructure for walking and biking. Indeed, the legislation preserves state control by allowing states to set their own safety targets, with “the flexibility to choose the best methods to meet them,” according to the press release. There is no funding component in the legislation. The bill “encourages states to make their roadways safer without diverting funding from other safety needs,” according to the press release — which sounds like a recipe for the status quo. But MAP 21 gave almost every state a sizable boost in safety funding. That means states can increase bike/ped funding without taking funding away from other safety priorities, a big help in convincing state officials. Establishing performance measures on bike/ped safety is an exceedingly simple thing to do. It should compel states to collect better data on bike/ped fatalities and to set goals toward reducing them. Though even existing state performance measures on highway safety are toothless (failure to meet them doesn’t lead to any repercussions), advocates hope that states will someday have to take such goals more seriously. First, this is about much more than just statistics — every one of these fatal crashes robs a family, a community and our nation of a precious human life. The costs to society are huge, and these are usually very preventable crashes. Second, bicycling and walking are healthy and enjoyable ways to get around that we should be doing everything possible to promote: we know that lack of safety is a major deterrent to people walking and riding more frequently, and we know exactly what we can do to improve traffic safety — not just for people riding bikes and walking but for everyone on our roads. Establishing simple safety performance measures — holding ourselves accountable to eliminate these needless crashes — will prioritize roadway designs that are safe for all users, and encourage education and enforcement programs that rid our communities of the scourge of distracted driving, speeding, and drunk/drugged/drowsy driving. That’s good for everybody.